Drink your favorite craft beer fresh from the tap, wherever your adventures may take you! outfitted with a quick-connect regulator and an integrated pressure relief valve, maintaining consistent carbonation is easy. 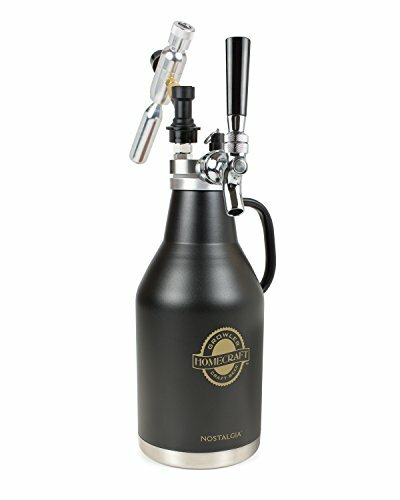 The double-walled and Vacuum insulated stainless steel growler has a beautiful copper finish and easy-carry handle. Holds up to 2 liters of your favorite craft beer.